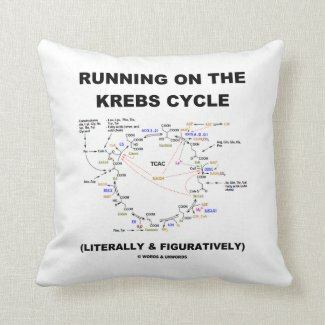 Biochemistry is a part of us, whether or not you are a runner. 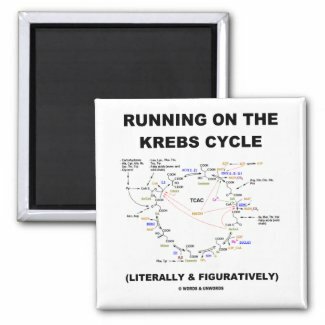 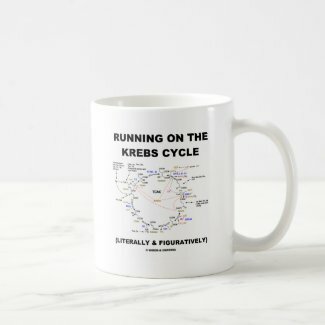 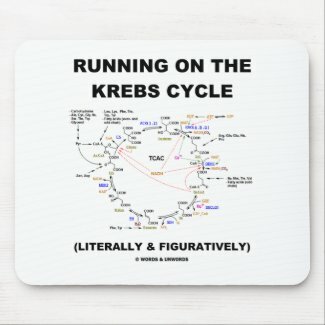 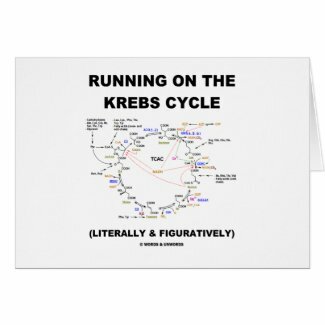 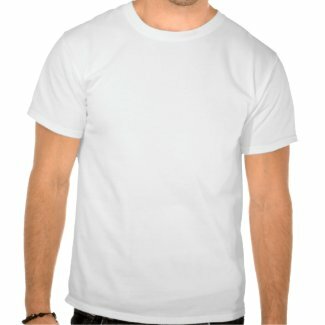 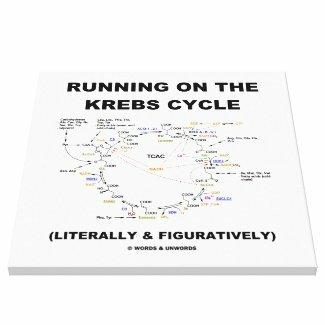 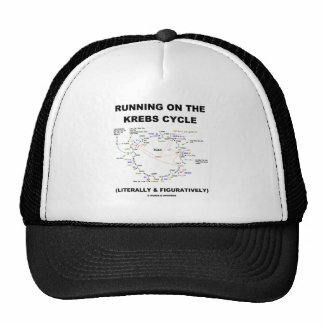 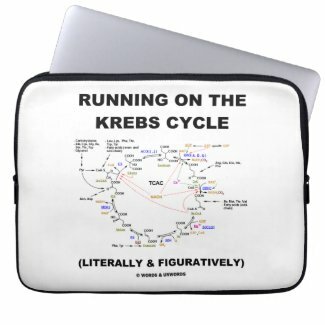 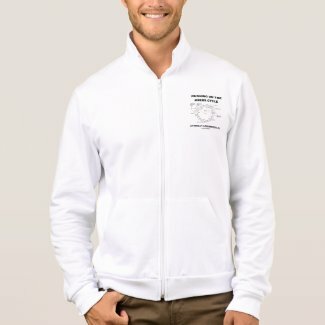 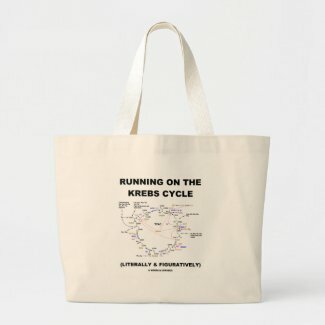 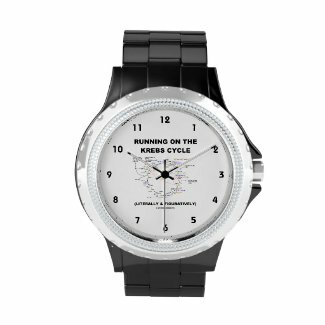 Showcase your intelligent witty sense of science humor with any of these Krebs cycle gifts that includes the saying "Running On The Krebs Cycle (Literally & Figuratively)". 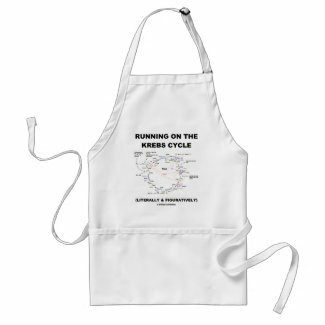 Perfect gifts for those who understand the importance of the citric acid cycle (also known as tricarboxylic acid cycle) in order to have energy and function throughout the day!